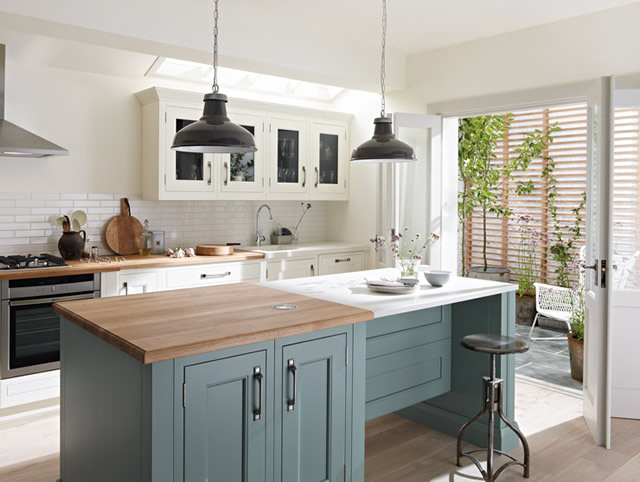 Blok Designs Ltd are proud to be supplying and installing the 1909 kitchen collection. PWS was delighted to unveil its new 1909 kitchen collection to key editors and writers from the consumer home interest press on 27th February 2013. It was very much a ‘who’s who’ of the kitchen and home magazine sector, as 18 press visitors were welcomed to the company’s impressive Design Centre. Guests included editors from Beautiful Kitchens, EKBB, Good Homes, Homebuilding & Renovating, House Beautiful, KBB, Period Ideas, Period Living, Real Homes and Selfbuild & Design, alongside leading freelance interior journalists who write for magazines such as Grand Designs, Ideal Home, Homes and Gardens, Country Homes & Interiors among others. Their response to 1909 was overwhelming. Ruth Bell, Editor of KBB said, “I had two immediate reactions to the 1909 collection. The first was that I love the look and feel of it – the beautiful colours, the clever attention to detail, the thoughtful touches and stylish range of options available. For more information on the 1909 kitchen range please contact Blok Designs Ltd on 01737 778814.